This is a great way to recycle some of those old jeans. 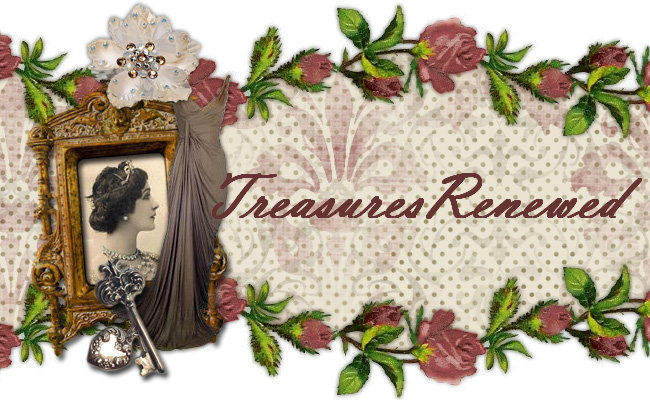 I always have a stash of out dated or outgrown blue jeans and just love to recycle with them. Since they are a nice weight I find they make wonderful baby bibs. 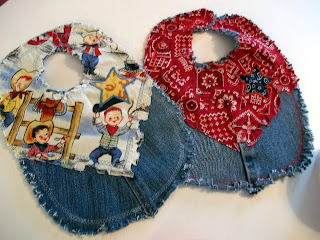 Here is how I made the western style baby bibs. I started by cutting up one seam of the jean leg. I opened the leg and placed the center of my pattern over the center of the uncut leg seam. I pinned and cut out my baby bib. Next I placed my contrasting fabric (right side up) over the baby bib (right side up), matching the corner of the contrasting fabric to the center bottom of the bib. I pinned the contrasting fabric in place and cut along the edge of the blue jean fabric, using my baby bib as my guide or pattern for the contrasting fabric. Next I used a zig-zag stitch and machine stitched approximately ½ inch all around the bib edge. I used the same stitch and tacked down the contrasting fabric along the front bottom using the same ½ inches allowance. I sewed on Velcro for my closure and added a cute star applique from contrasting fabric. Lastly, I snipped the entire bib edge close to the zig-zag stitching, I also snipped the bottom edge of the contrasting fabric. I washed and dried the bib which gave me the fraying effect. 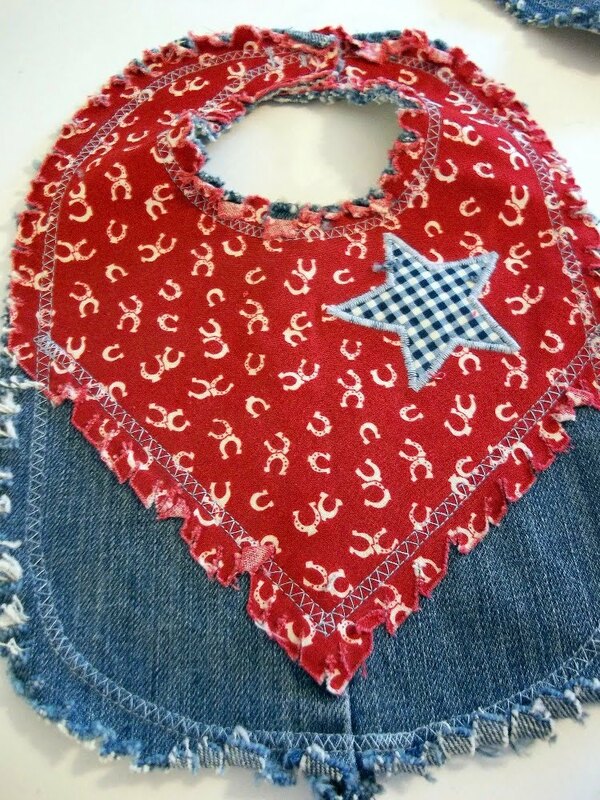 These bibs are just so cute and wash up so nice making them very functional. The contrasting fabric could be changed to pastel colors making it very cute for little girls as well. Those are such cute bibs! 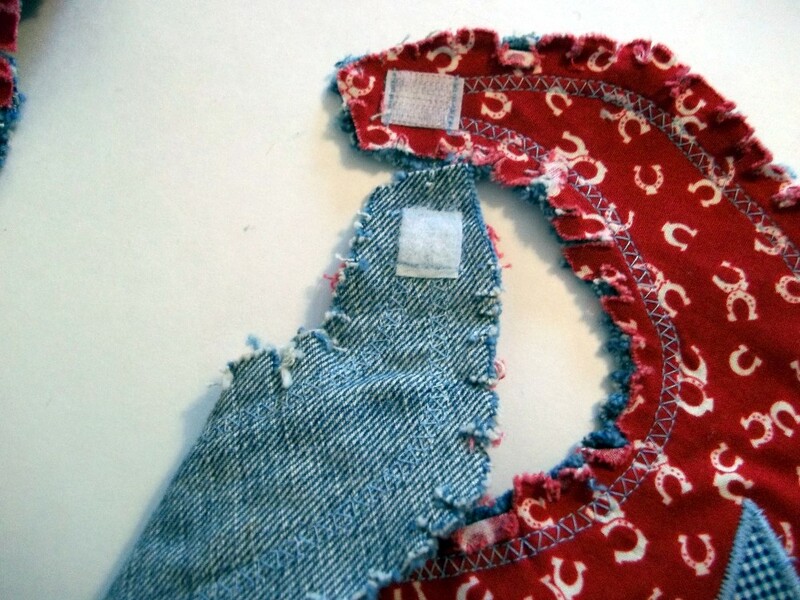 What a great way to recycle/upcycle jeans! I used a very similar bibgiven to me around 28 years ago with first child. I used with all 4 kids and it outlasted almost all other bibs. So glad you posted as I cannot locate that bib or the pattern I made from it (when youregret cleaning purges). Would like to make more as gifts.